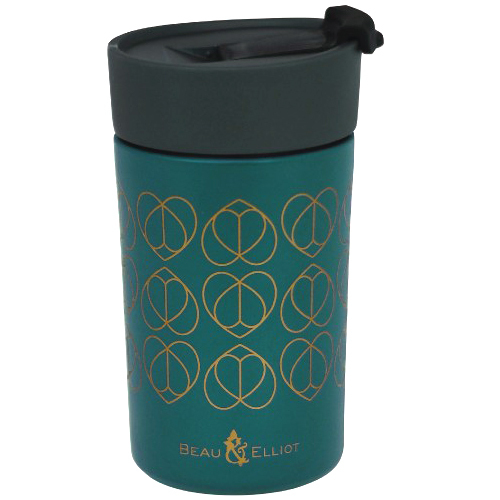 An insulated travel mug in Champagne Edit Teal design. From the full and fabulous range by Beau and Elliot. Beau and Elliot Champagne Edit. Date First Available: Tuesday 30 October, 2018.